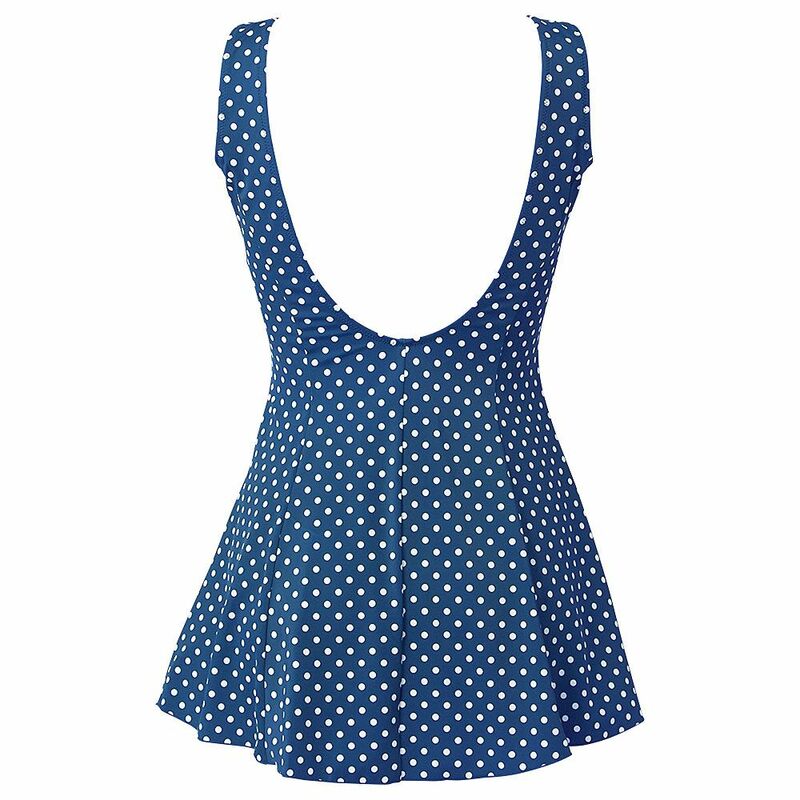 This skirted Beachcomber Dotty swimsuit is elegant and poised in purple and white. 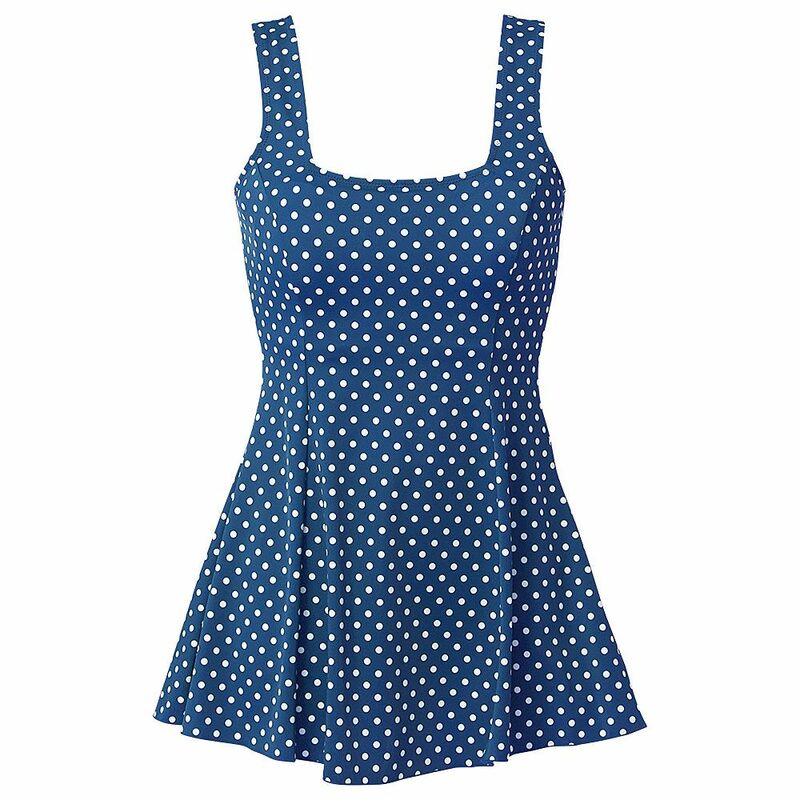 Swimming or sunning this scoop backed swim-dress will keep its good looks so you can confidently look and feel good too. 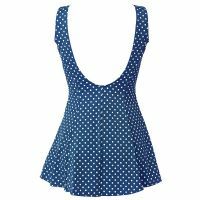 This beautiful swim-dress has a high Lycra content which not only makes it especially comfortable but also means it keeps its shape superbly well no matter how often you wear it.